LG launched a new mid-range smartphone LG Max (a.k.a LG Bello II) in India, it is the successor for last year’s L Bello. For Europe and CIS, it will be launched in the Q3. As per the listing on LG India’s official website, the device costs Rs. 11,500 and available in the colors Gold, White, and Black. Coming to the specifications, the LG Bello II comes with 5-inch FWVGA (480×854) display and powered by a 1.3GHz quad-core processor with 1GB of RAM. It has an 8GB of internal storage with microSD card support up to 32GB and 2,540mAh removable battery. There is an 8MP rear camera with LED flash same as of its predecessor while the front camera is updated from 1MP to 5MP on this device. There are special features like gesture shot and selfie flash that carried over from the company’s G series. It runs on Android 5.1.1 Lollipop based LG’s UX UI. During the event held in last month, Juno Cho, president and CEO of LG Electronics Mobile Communications Company, said “The LG Max brings unprecedented value to 3G markets, which still account for a significant 40 percent of smartphone markets.” He also added that the 5MP selfie camera and larger display makes the LG Max a great device with balanced form, function, and price, which is the company is expecting it to be more successful than its predecessor. The smartphone comes with no 4G LTE support and offers other basic connectivity features like Wi-FI, 3G, GPS/A-GPS and Bluetooth 4.0. The device measures 140.80 x 71.60 x 9.60 mm and weighs about 155 grams. It will be available in the colors – White, Titan, and Gold. There is no information about the pricing and the availability of the device, if details about the same are revealed, we will surely let you know with an updated article. Earlier this month LG launched two new devices LG G4 Beat and LG G4 Stylus. 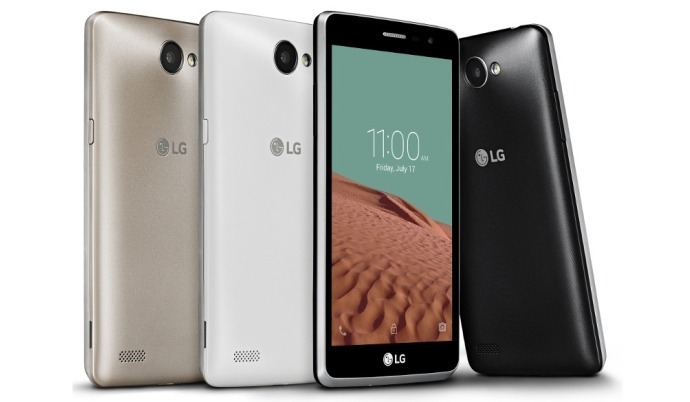 The G4 Beat comes with 5.2-inch Full HD display and Snapdragon 615 processor with 2GB of RAM. There is a 13MP rear camera along with 5MP front camera on the G4 Beat. The G4 Stylus has two different variants -LTE and 3G variants. Both the variants has the same 5.7-inch HD IPS display with 1GB of RAM and 3000mAh battery. The LTE variant has 1.2GHz quad-core processor, and the 3G variant has 1.4GHz octa-core processor.